- 4.6 from 675 reviews "User friendly website and speedy delivery!" This product is not currently available. To help you find what you're looking for, see similar items below. This product has not been rated yet. *We do not charge for delivery, but your order may incur additional customs costs. Fact: there’s no better way to while away lazy summer days than testing your brain with a killer puzzle. It’s relaxing – but challenging too! Plus, puzzling keeps your mind sharp and tests your powers of logic. So your brain stays in shape even when you’re off school. 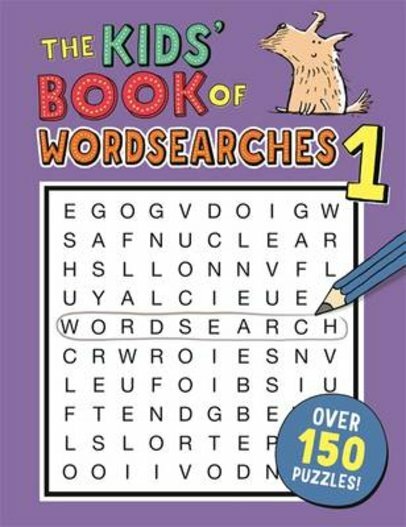 Get started with this book of over 150 fabulous wordsearches written by brain-training guru Gareth Moore. Addictive fun for the beach, the plane and the poolside. Don’t get bored. Get smart – and have fun at the same time. This product has not been reviewed yet. Copyright © 2008-2019 Scholastic Ltd.